An unforgiving sun, a parched earth, and a failed economy have left a small Texas town desolate. For ten years Promise, Texas has known nothing but one curse after another. It's barren, broken, and dying, leaving a town full of despair. When a couple finds a boy walking along a dusty road, alone in the middle of nowhere, with nothing but a mat tucked under his arm, they pick him up in hopes of helping him. What they don't realize is that he has come to help them and the residents of Promise. 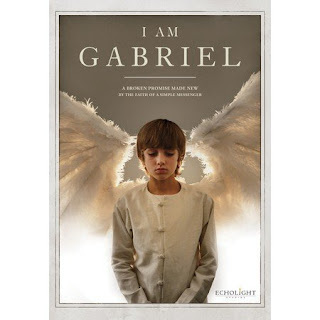 After I saw the trailer I really wanted to watch this movie, not just because it’s a Christian movie, but because the character Gabriel, played by Gavin Casalegno looks plausibly angelic. I am Gabriel is a very nice, heartwarming, family oriented movie. This is one of those films that totally inspires. The theme is that of prayer and it encourages that we, as the church, need to get our focus back on God. This is a movie you will watch over and over again! I am Gabriel lays emphasis on how important it is to have a personal relationship with God. It Gabriel tries to depict how big God is and what He wants to do for His people. This movie is a stark reminder that it is often in pain we realize the importance of God and his Grace and the movie does justice to clearly establishing that view. Although the movie plot is a bit too predictable, it still well worth watching.